According to statistics, traffic accidents have become the number one cause of accidental injuries among young people. Most of the accidents are caused by young people's knowledge of traffic safety, road traffic laws and regulations, and lack of self-prevention awareness and self-protection awareness. Therefore, to protect the safety of young people's travel and achieve a harmonious and orderly transportation society in the future, we must start from the traffic safety education for primary and secondary school students. Car teaching equipment allows students to learn about safe travel, safe ride, emergency escape, car manufacturing, etc. in interesting interactions. Parents can also learn how to avoid car dead corners, car lights, improper driving and so on. hurt. In particular, many young people do not wear seat belts. A Ms. Zhang once said that children are always unfair on boarding and do not like to wear seat belts. Today, they have finally experienced the role of seat belts in car collisions. 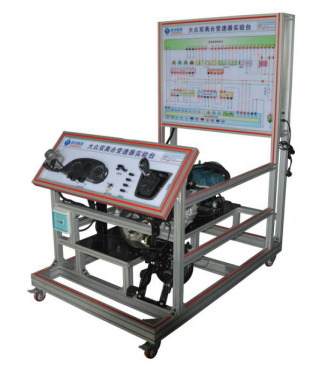 The seat belt collision experience device independently developed by Yongyuan County Siyuan teaching equipment and the technical equipment for road traffic safety education. The device can simulate the accidental collision of the vehicle running at low speed, and under the premise of ensuring the personal safety of the experienced personnel, the experiencer feels the feeling of the vehicle when the collision occurs and the necessity of fastening the seat belt, and enhances the safe driving consciousness of the experienced person. The product is mainly composed of safety belts, car seats, slides, platforms and other equipment.